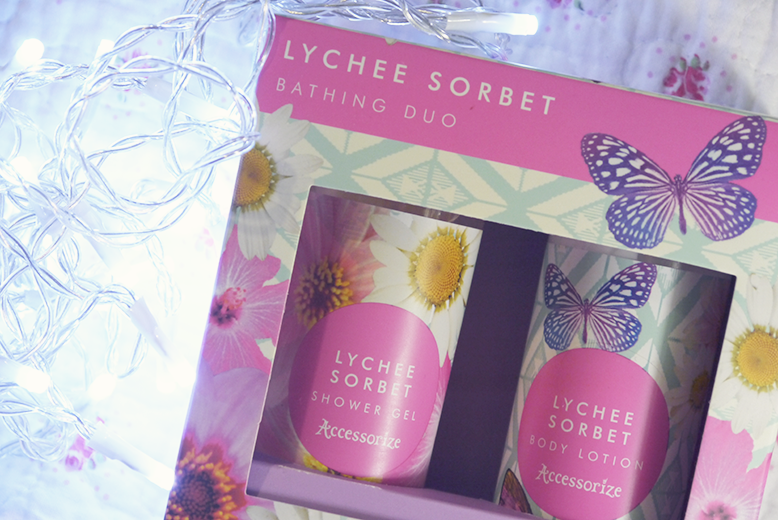 Another great gift idea from Accessorize, this bathing duo includes a shower gel and body lotion available from Heathcote & Ivory. 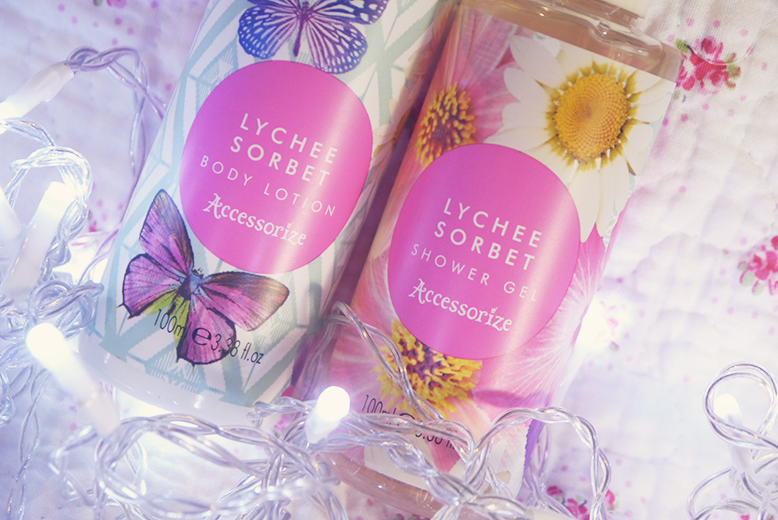 If you haven't seen my last post about the Lychee Sorbet hand cream, these smell just as amazing! Again, they have gorgeous packaging featuring butterflies and sunflowers with twist lids so that they are perfect for travelling. If you know anyone who loves to travel this would be a perfect gift or even for a Secret Santa! I have already been using the body lotion and can't get over how delicious it smells. I'm yet to try the shower gel but if it's anywhere near the quality of the hand cream or body lotion then it should be just as good! BUY HERE.